A sign of something new? 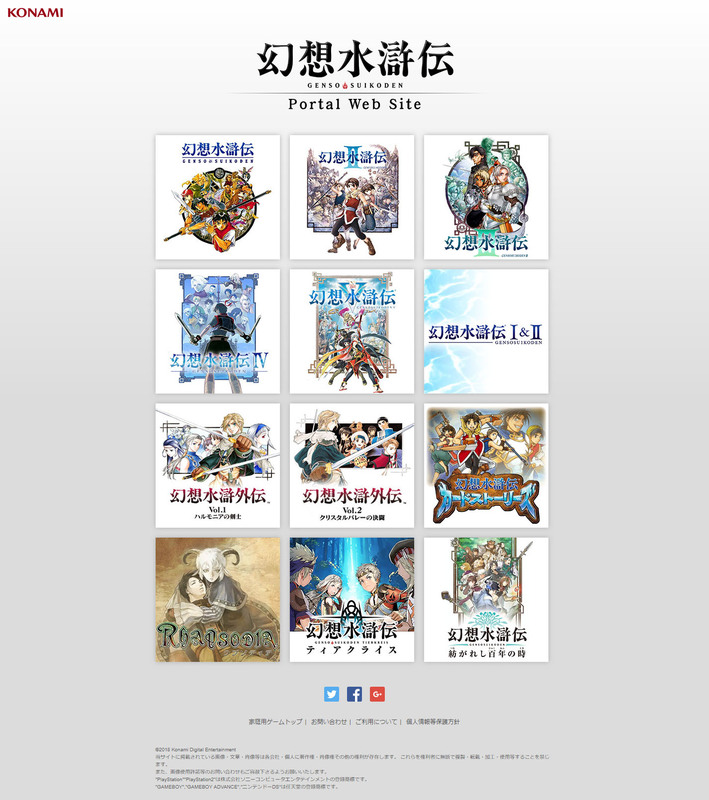 Konami has relaunched the portal website for its Suikoden series, known as Genso Suikoden in Japan. Before today’s update, the last time an update was posted on the website was on June 18, 2014, when the “Best Collection” version of Suikoden I & II for PSP was made available as a free trial for PlayStation Plus subscribers in Japan. Before that, the last update was on November 21, 2012, when the “PSP the Best” version of Genso Suikoden: Tsumugareshi Hyakunen no Toki was dated in Japan. 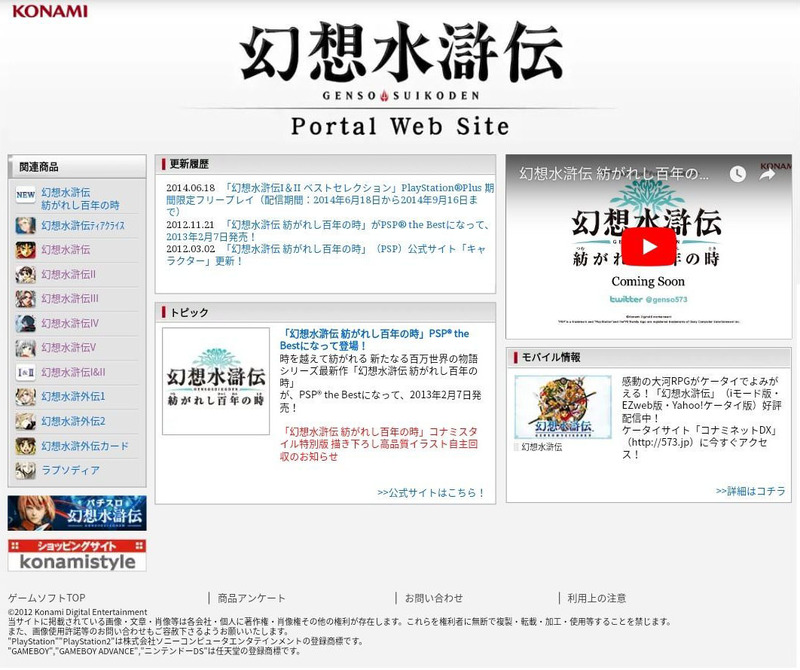 The series’ official Twitter account last tweeted on February 18, 2013 regarding a delay in the delivery of the first-print bonus PSP theme included with Genso Suikoden: Tsumugareshi Hyakunen no Toki. Thanks, My Game News Flash.